An interview with Justin Tarbell, Vice President of Strategy and Business Development of Ohserase Manufacturing. Ohserase Manufacturing is the maker of Signal, Great Country, Dean’s, and Farmer’s Golds brands. What products will you be exhibiting and what distinguishes them in the market? What are your goals for the show? Justin Tarbell: We are really excited to exhibit our Signal, Great Country, Dean’s, and Farmer’s Golds brands at the TPE 2019 Trade show. Our booth this year should feel familiar, but different. We are amplifying our Native Heritage this year through our first annual Limited Edition OM/TPE19 Lacrosse Sticks. The Iroquois Nation is credited with inventing the sport of Lacrosse, and Brandon and I loved playing growing up. I still cross check him in the hallways every now and again in our new state of the art manufacturing facility. So we partnered with a traditional artisan lacrosse stick maker to produce a limited set of OM TPE2019 lacrosse sticks for our show partners and customers. What are your plans for the rest of 2019? Have you planned any new product launches or promotional campaigns? Any new marketing initiatives? We are proud to announce our partnership with Cheddar Alchemy’s Samuel A. Morales most known for his work at Drew Estate Cigars to head up our new marketing initiatives. We partnered with Sam starting in December 2018. He will be building out world class Brand Management, Digital Marketing, and Trade Marketing Divisions within our Marketing Organization. 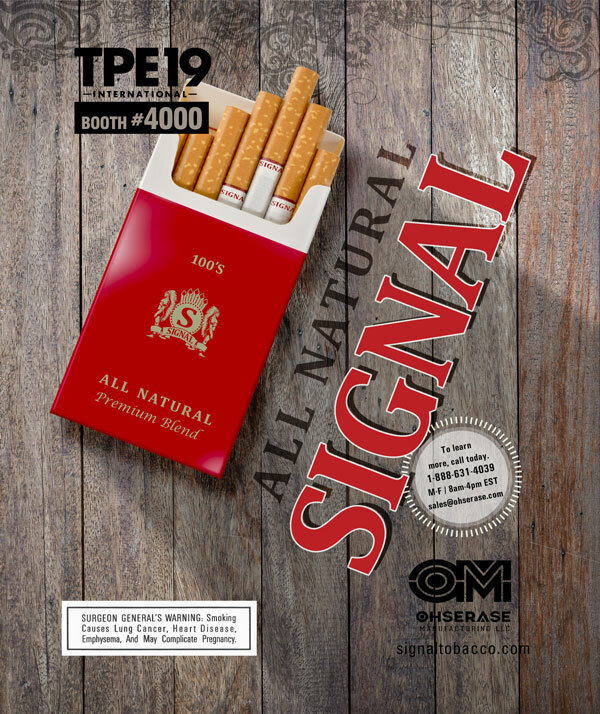 We have huge plans in 2019 with our Signal Brand but that won’t be for later in the year so I can’t say too much, right now we are focusing on our OTP Product Portfolio consisting of Signal, Deans & Farmers Gold at TPE 2019, and introducing our Great Country brand which has been approved in Texas, Maine, and New York. What else is it important for your customers to know about your company? Ohserase Manufacturing is a Native American family owned and operated business located in upstate New York on the St. Regis Akwesasne Mohawk Reservation . We are part of Tarbell Management Group, and have been manufacturing fine tobacco products under the Signal Brand for many years. Our family owned facility has grown to over 80,000 square feet and houses state of the art equipment to manufacture a multitude of premium tobacco products with speed and consistent quality. 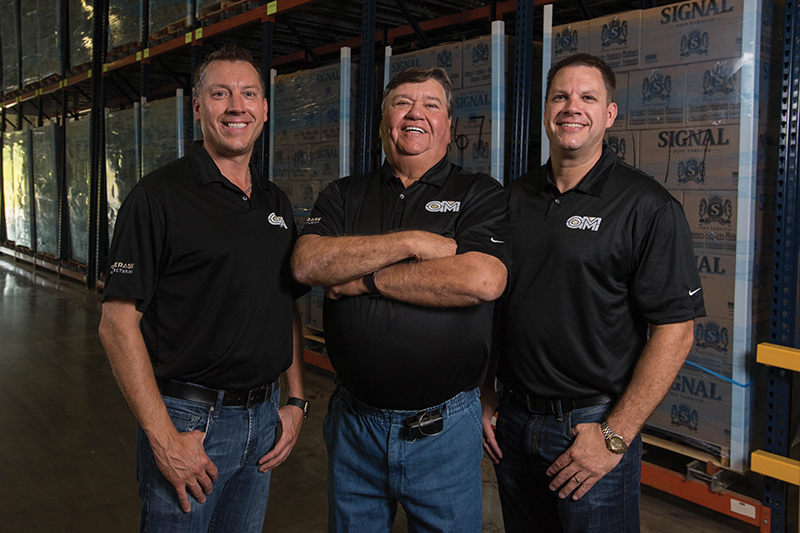 Our day to day operations employ a dedicated staff of community members that take great pride in the products we produce, ensuring they are inspected, packaged, and delivered fresh to our customers. 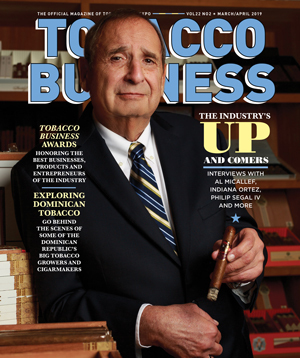 As third generation tobacco & gasoline convenience retailers, we understand the business. 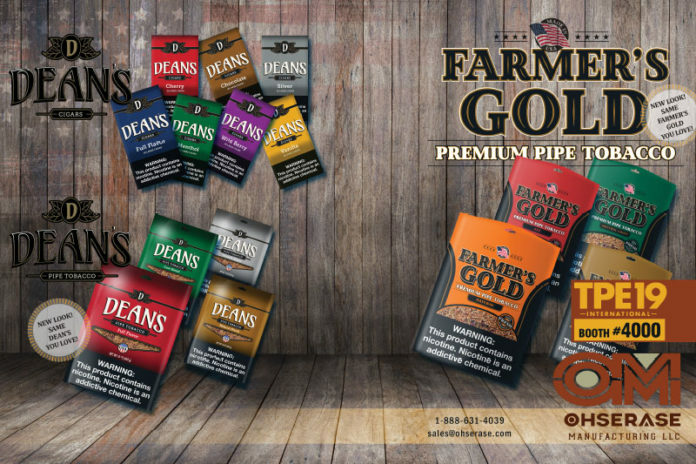 Our regional convenience store chain, Bear’s Den was founded in 1953 by my Grandmother Theresa “Bear,” and we operate our tobacco and petroleum businesses always with our retail partners in mind, and never forgetting about our roots. How was tobacco used by the Mohawk Culture? For more than 400 years, tobacco has played a key role in the Iroquois and Mohawk Native American Cultures. In the past, tobacco served as a ceremonial offering that was thrown into a fire. The smoke that rose as a result stood for thanksgiving and “good thoughts” directed toward the creator, in addition, tobacco was smoked by Mohawk Men and was credited with giving them good thoughts while they were debating and discussing important matters. As third generation owners, and members of the Mohawk Native American community, we are inspired by the traditions of those who came before us as we shape and build our tobacco business, Ohserase Manufacturing. Which product lines are performing best for you? Why? 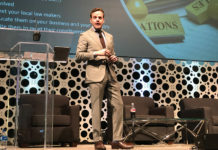 What trends do you see impacting sales? 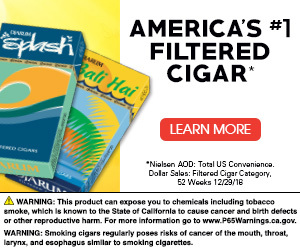 Our Signal Cigarette continues to grow as the All Natural Category continues to grow in the cigarette business. 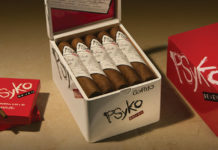 We are seeing a trend of retailers who are looking to diversify their product offerings with manufacturers who partner with retailers to maximize the profitability of their tobacco category, but also offer their consumers a truly native made product that is authentic and all natural tobacco and water blend.